Go for something funny for a first time Father! 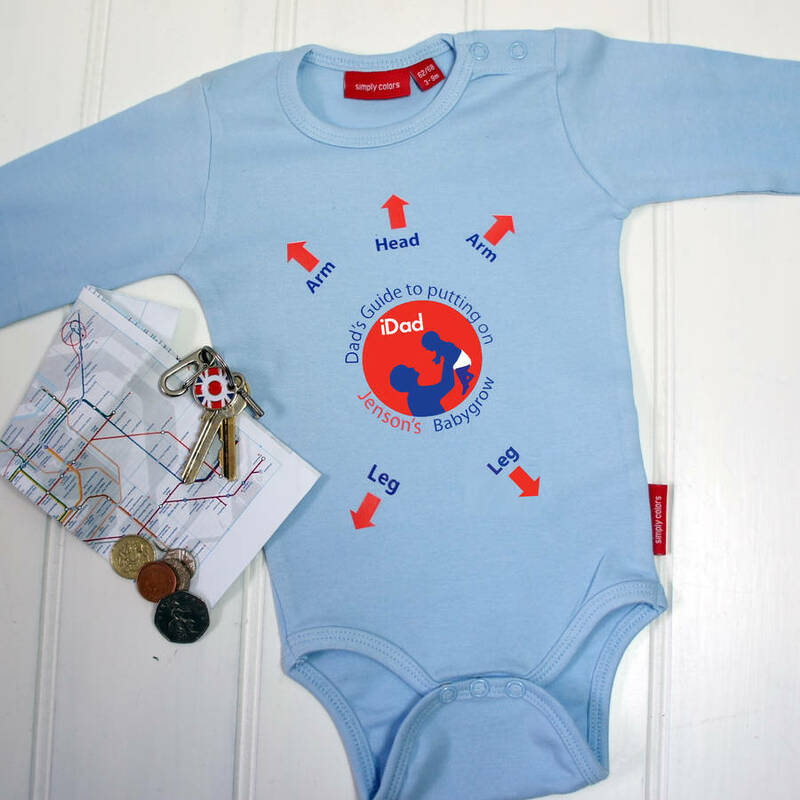 Our personalised Dad's first baby grow is a great gift personalised with our exclusive iDad logo! This is a great talking point - and something fun for the Men that usually get missed out during baby showers or naming ceremonies! You simply pick the colours and add the baby's name and we will do the rest! This gift is perfect for any new baby, new dad or Father's day! The bold prints and little message will make any new Dad smile - almost as much as the baby that's wearing it! Available in over 50 different colour combinations this gift is unique, a great keepsake and perfect to share on social media! Have a look through our pictures to see the different colours that you can chose from. You can select different babygrow colours such a Pink, Purple, Red or Blue and mix them with the different print colours on offer. 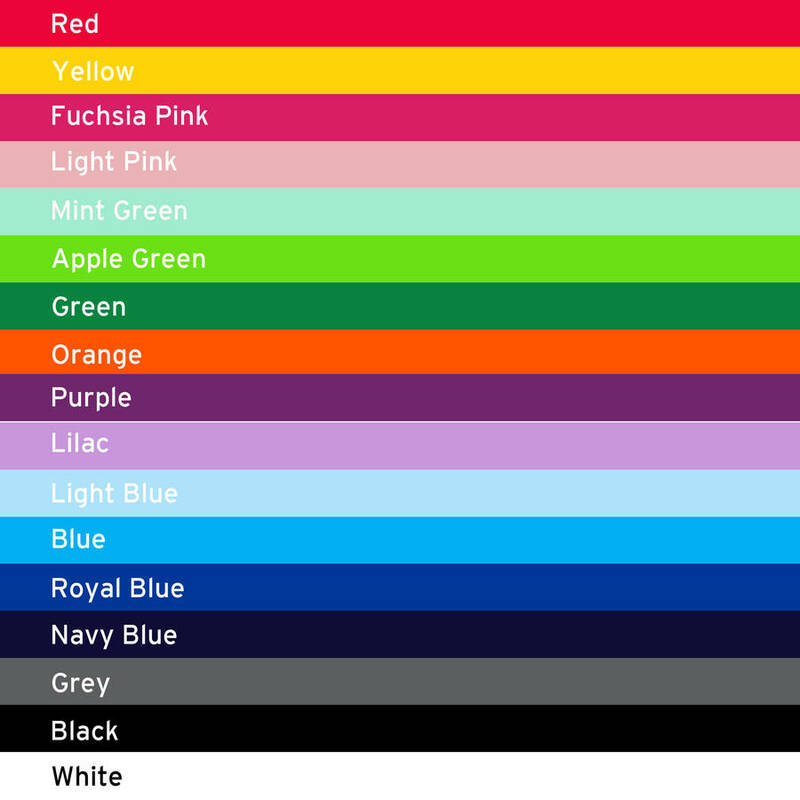 Be careful not to pick colours that are too similar as they will not show up. These include; Fuchsia Pink or Red print on the Red or Pink babygrow, Blue print on the Aqua babygrow, Black or Navy print on the Navy babygrow and Purple print on Purple. Pick the colour text you'd like the Baby's name and circle and arrows in, then pick the colour text and image colour. We will then do the rest! 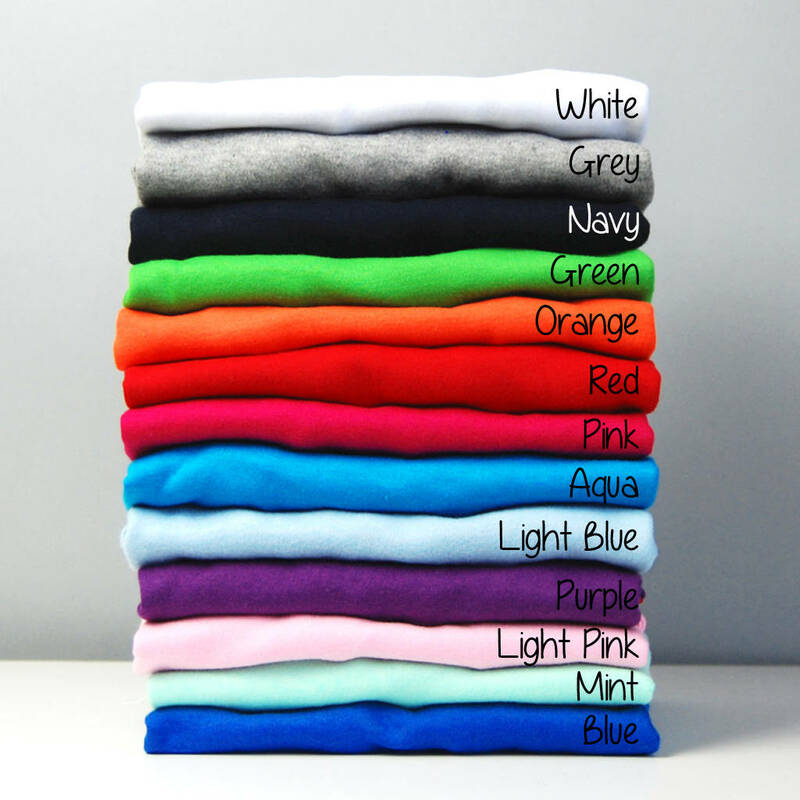 Our babygrows (exclusive to Simply Colours) are made from excellent super soft cotton (220grm). Care instructions: The bodysuits can be washed up to 40 degrees. We recommend 30 degrees for at least the first wash and they should not be tumble dried as this may affect the quality of the print. Iron on reverse. The sizes start at 0-3m and go up to 18m-2y. There is a size chart shown in the images above. The 0-3m bodysuits are recommended for up to 2m and for small babies. 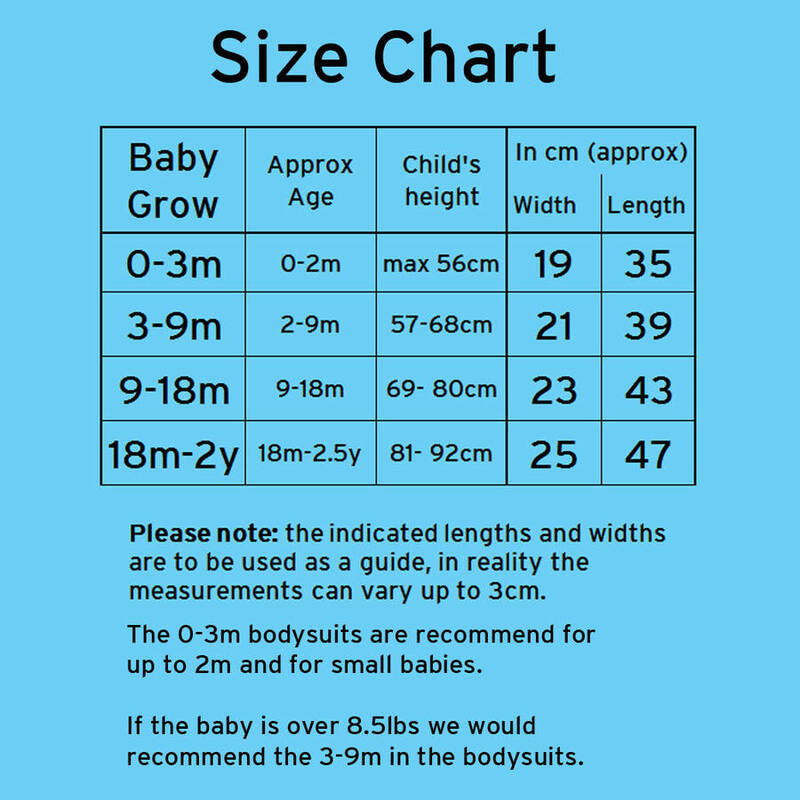 If the baby is over 8.5lbs we would recommend the 3-9m in the bodysuits. The text and image will be sized to fit the babygrow.